Maintain your daily exercise routine in a state-of-the-art fitness facility featuring floor-to-ceiling windows overlooking the resort's inland laguna, full-length mirrors, audio system and advanced cardio-fitness equipment. Power walking throughout the resort can be a beautiful start to your day, unless you prefer long walks in the crystal-clear lagoon. You may also catch our shuttle boat to the main island of Taha’a to enjoy alternative walking or jogging options. 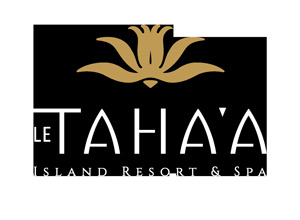 Shuttles to Taha’a are free of charge until 5:00pm. Located by the Fitness Center, the flood-lit tennis court will allow daytime or night-time practice. Gear is available from the Front Desk. Kayaks and outrigger canoes are available for every guest's enjoyment. Our fleet of water toys also include stand up paddle boards, offering a different way to explore Taha'a's pristine lagoon. A great way to combine fun and exercise!